This is one of our Nature Engagement Rings that was made for bear lovers. There are 3 center stones that can be a wide variety of sizes and types. The accents are 2mm, but could made smaller. It is also shown with optional hand engraving. ACCENTS: Around 1/2 tcw. Due to the sizes, they must be precious gems, diamonds or cz. 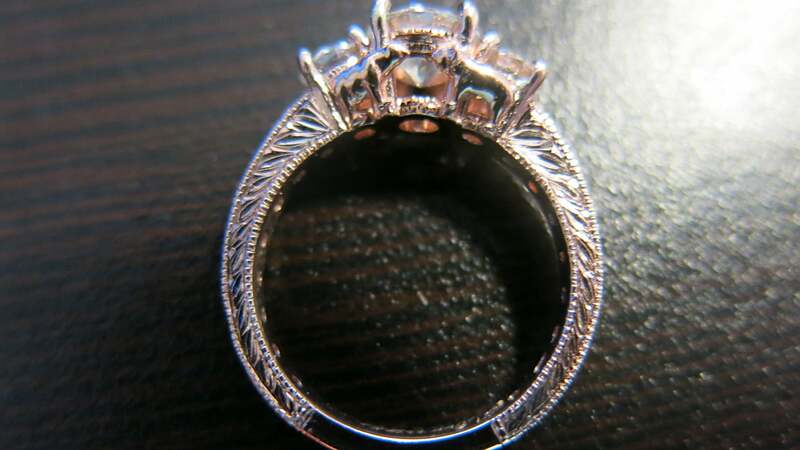 The listed price is for this Nature Engagement Rings in Gold with CZ and without the engraving. Contact us for other pricing options. 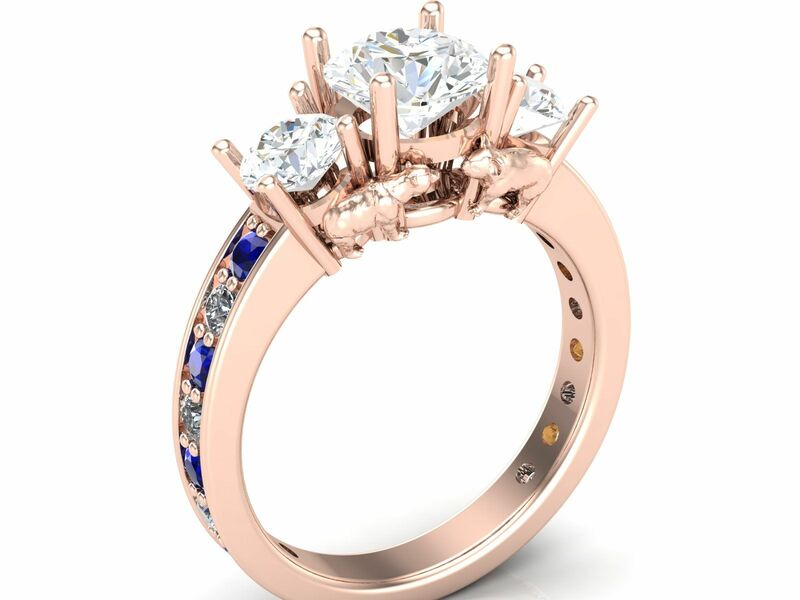 Click HERE to see another of our Nature Engagement Rings or contact us with your very own custom engagement ring idea. Click HERE to learn more about custom jewelry, to see our portfolio, or to contact us about Nature Engagement Rings. It can cost less than you think to have your very own custom engagement ring made just for you. Why hassle with the retail stores for boring and overpriced engagement rings?